(see Guess Who for the Romanian rapper Laurentiu Mocanu) The Guess Who is a Canadian rock music band from Winnipeg, Manitoba that was one of the first to establish a major successful following in their own country as well as abroad in the late 1960s and early 1970s. They were the first Canadian rock group to have a No.1 hit in the United States ("American Woman," 1970). The band evolved out of Chad Allan and the Impressions (also shortened to The Impressions), a British Invasion styled band fronted by Chad Allan and featuring guitarist Randy Bachman. 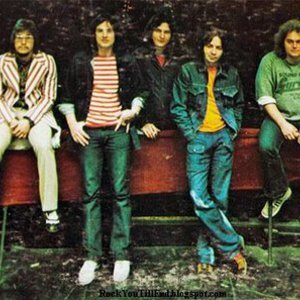 The Guess Who is a Canadian rock music band from Winnipeg, Manitoba that was one of the first to establish a major successful following in their own country as well as abroad in the late 1960s and early 1970s. They were the first Canadian rock group to have a No.1 hit in the United States ("American Woman," 1970). The band evolved out of Chad Allan and the Impressions (also shortened to The Impressions), a British Invasion styled band fronted by Chad Allan and featuring guitarist Randy Bachman. After their cover of "Shakin' All Over" sold well as a single, their record label released their album with "Guess Who?" written on the cover, hoping to mislead unsuspecting buyers into thinking it was a British band. The name stuck, however, and from then on they were The Guess Who. Singer/keyboardist Burton Cummings joined upon Allan's departure in 1966, and the band's classic partnership was born. They mixed some jazzy sounds like flute and electric piano into their sound, and scored hits in Canada with "These Eyes", "Undun", and "Laughing", but it was when they turned to psychedelic rock with American Woman (the third album with the Bachman/Cummings lineup) that they broke through in the US with the anti-war title cut. The band's success after that was hit and miss, however. After Share the Land, their second album of 1970, Bachman left to form Bachman-Turner Overdrive, leaving Cummings as the band's leader and main writer. The band experimented in various styles through the 70s, including blues, down-home bluegrass, more jazz, and Cummings's trademark piano ballads. The novelty single "Clap for the Wolfman" (1974) was their last chart appearance. Various combinations of former members of the band have reunited at various times since their breakup in 1975.